Welcome to our Florida-Friendly Demonstration Garden! The garden is full of winter flowers this February. 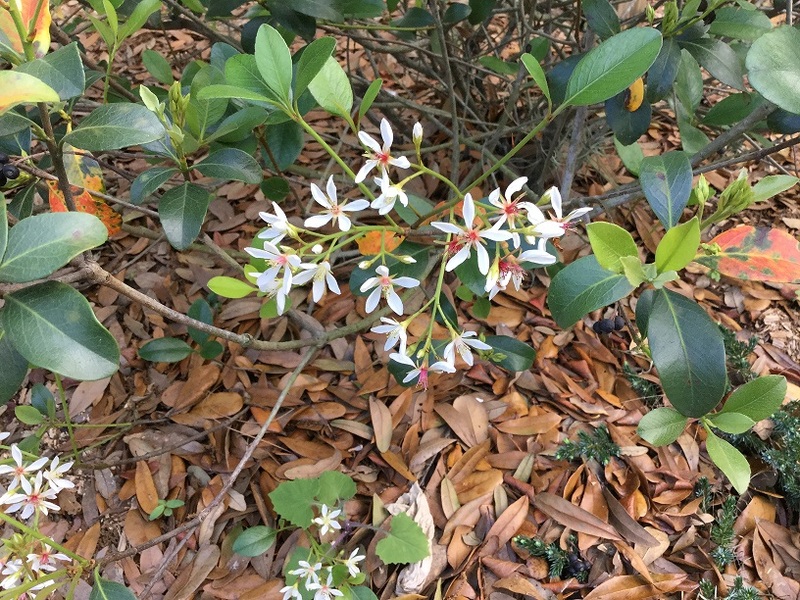 Below are pictures of the plants currently flowering at the UF/IFAS Extension Polk County Florida-Friendly Landscaping Demonstration Garden this February 2019. 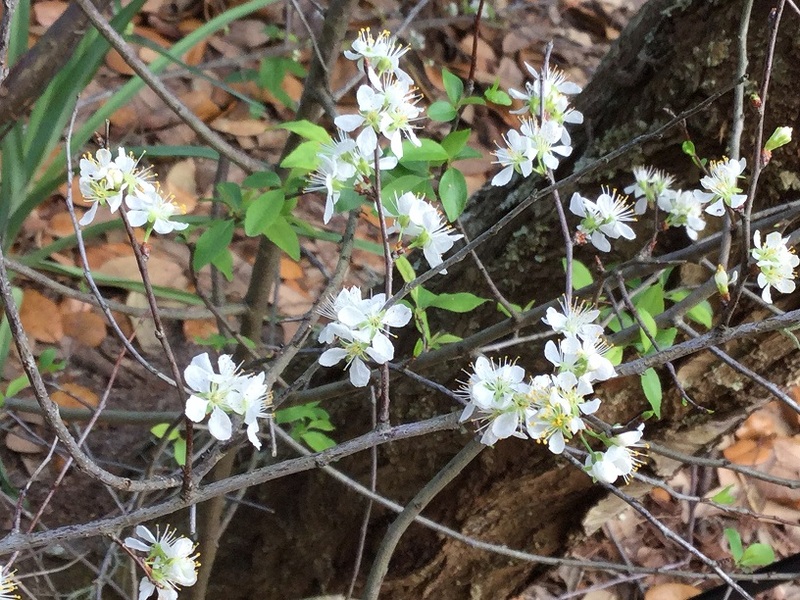 Chickasaw Plum (Prunus angustifolia) is a small Florida native tree. 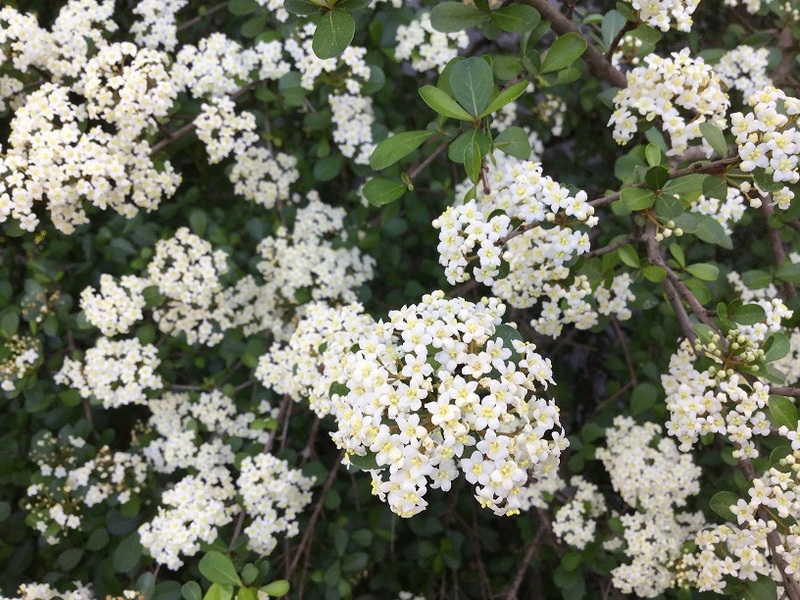 Clusters of tiny, white, fragrant flowers appear in late winter/early spring. This small tree usually grows to about 6-12 feet in height. For more information on Chickasaw plum click here. Royal Carpet Alyssum (Lobularia maritima ‘Royal Carpet’) is a small flowering annual. 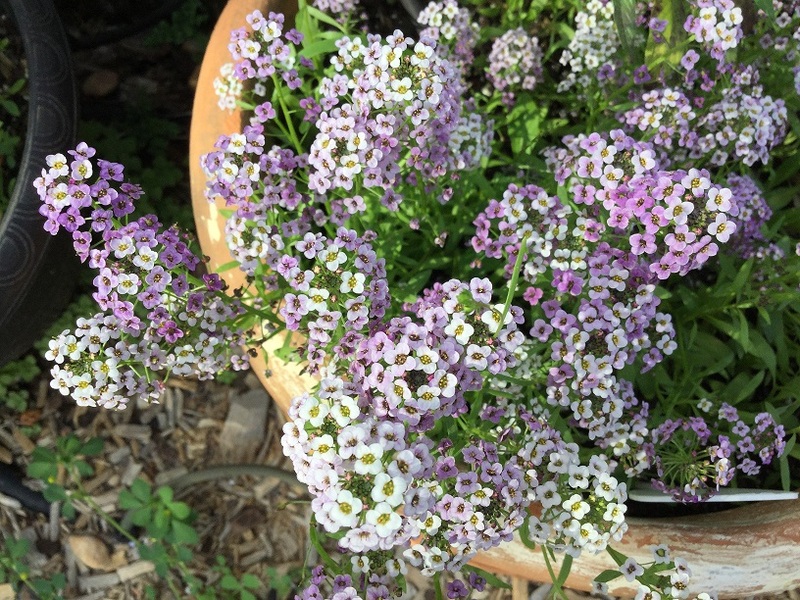 This alyssum produces beautiful purple blooms. It works well in pots, hanging baskets, or even as an annual groundcover since it only grows to a few inches tall and spreads to about 10-12 inches in width. Grows well in full sun to part sun. 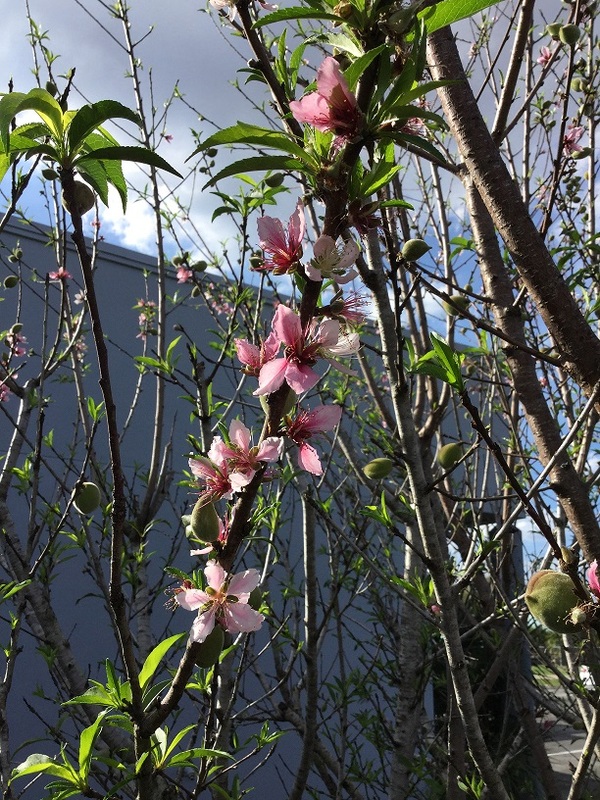 Peach trees (Prunus persica) are an excellent addition to your edible landscape. To ensure peaches, choose Florida cultivars of peach trees. For more information on growing peach trees in Florida click here. Blue-eyed grass (Sisyrinchium angustifolium) is a Florida native perennial with blue flowers that appear in early spring. Blue-eyed grass thrives in naturally moist areas. To keep this native perennial in the landscape, use microirrigation to supply supplemental irrigation as needed. Indian Hawthorn (Raphiolepis spp.) may not come to mind when you think of flowering plants, but it certainly can flower given the proper care. For best flowering, plant in full sun. Additionally, prune after flowering and do not prune after July 4th. Flower buds are set on last year’s growth, so pruning too late may remove the flowers for next year. Yellow Jessamine (Gelsemium sempervirens) is a Florida native. 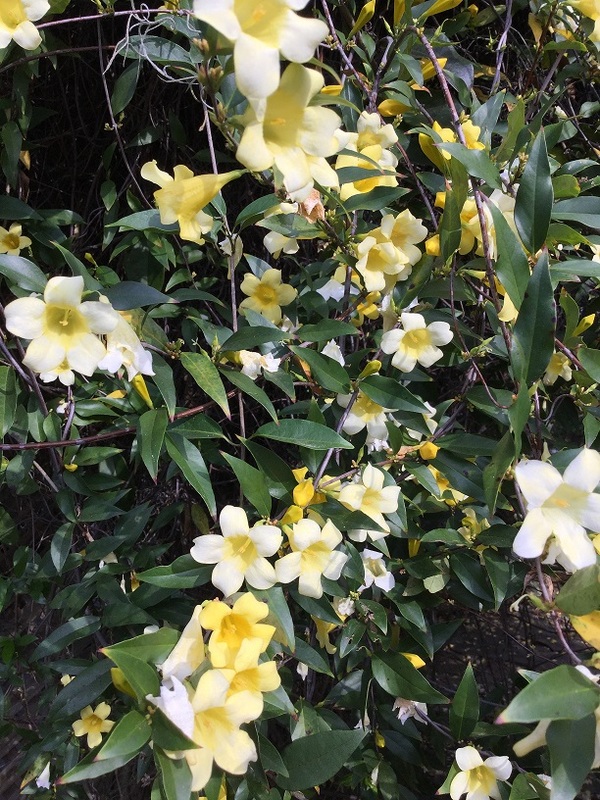 This vine blooms in late winter/early spring with yellow flowers and a wonderful fragrance. 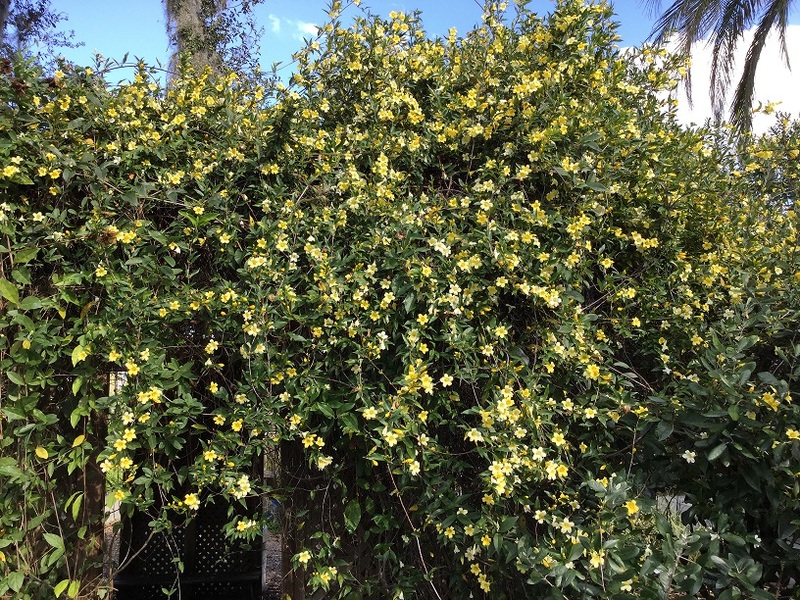 For more information on yellow jessamine click here. Withlacoochee Viburnum (Viburnum obovatum ‘Withlacoochee’) is a large shrub or small tree (depending on your definition). It can grow anywhere from 8 to 25 feet in height and 6 to 10 feet tall. 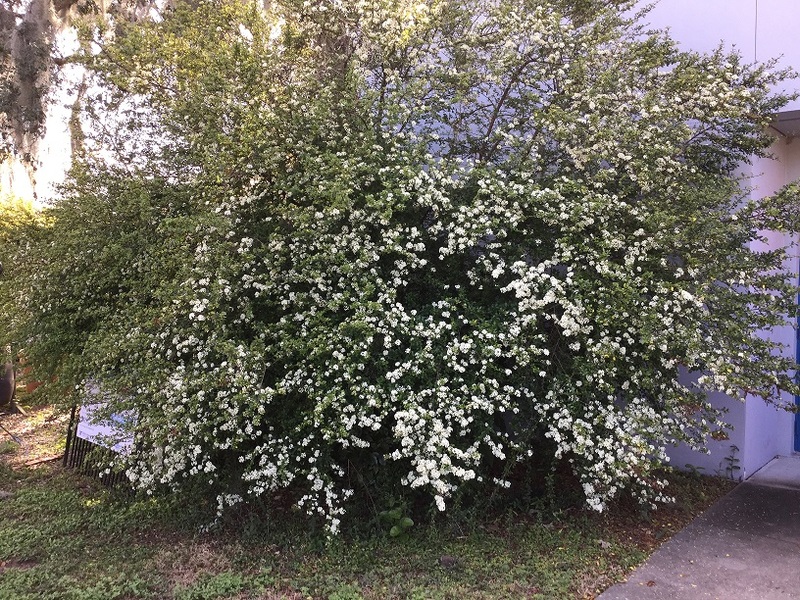 A highly drought tolerance plant with white flowers from winter through spring. Also provides shelter and food for wildlife. 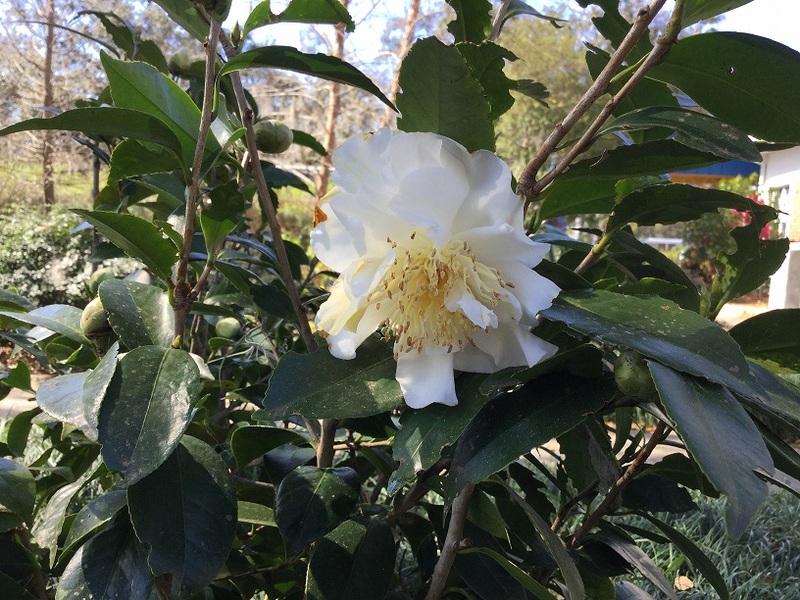 Camellias are shrubs that tolerate partial sun to shade and require acidic soil. They produce flowers from winter through spring with varying colors depending on the cultivar. Coral Bean (Erythrina herbacea) is a native small tree or large shrub ranging in height from 5 to 10 feet tall and similar width. 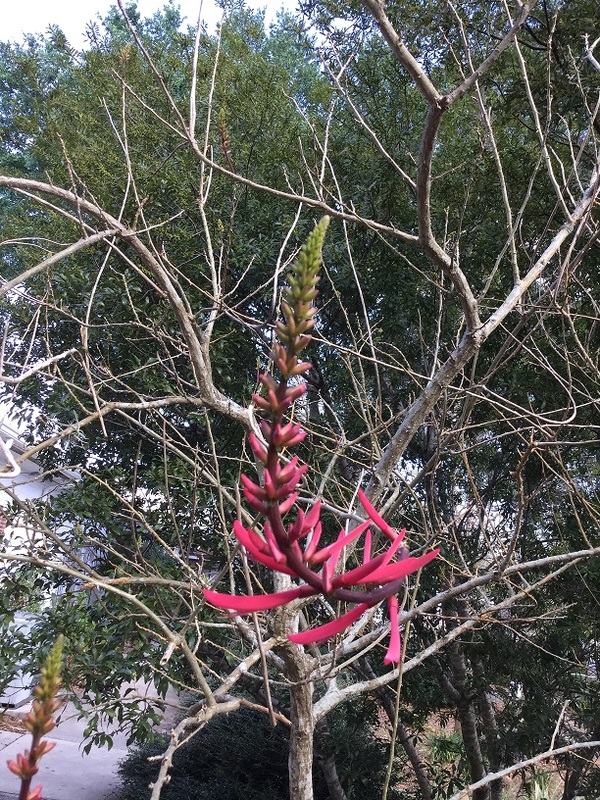 Coral bean prefers full sun but can tolerate partial sun. It is very drought tolerant and a nectar source for hummingbirds. 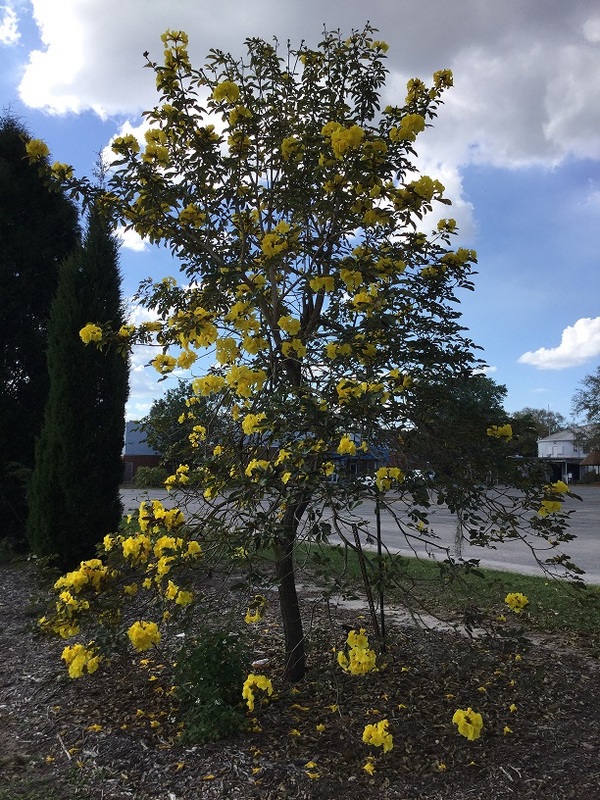 Golden Trumpet Tree (Handroanthus chrysotrichus), formerly known as Yellow Tabebuia. This medium sized tree can grow to 25 feet tall and just a wide. It is especially known for its bright yellow flowers in early spring. 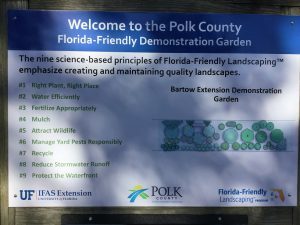 Have you visited the Florida-Friendly Landscaping Demonstration Garden in Bartow recently? If not, we invite you to stop by and check out the gardens. For more details and directions, call 863-519-1041. Florida-Friendly Landscaping Program Coordinator at UF/IFAS Extension Polk County.